Sir Philip Anthony Hopkins, popularly known as Anthony Hopkins, is a Welsh actor of film, stage, and television, and a composer. 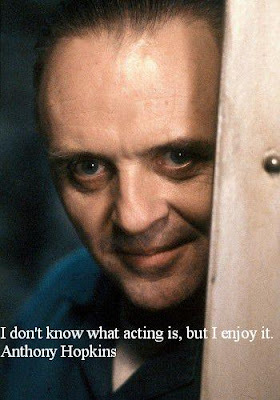 Here I have compiled down some of the best Anthony Hopkins quotes. Hope you like this quote collection and learn something new here. I would like to go back to Wales. I'm obsessed with my childhood and at least three times a week dream I am back there. I'm most suspicious of scripts that have a lot of stage direction at the top of the page... sunrise over the desert and masses of... a whole essay before you get to the dialogue. I've got a great sense of humor.